The Jaguars added a punter to the depth chart on Saturday. The Jaguars made a move to strengthen their punter position in the seventh round of the NFL Draft. 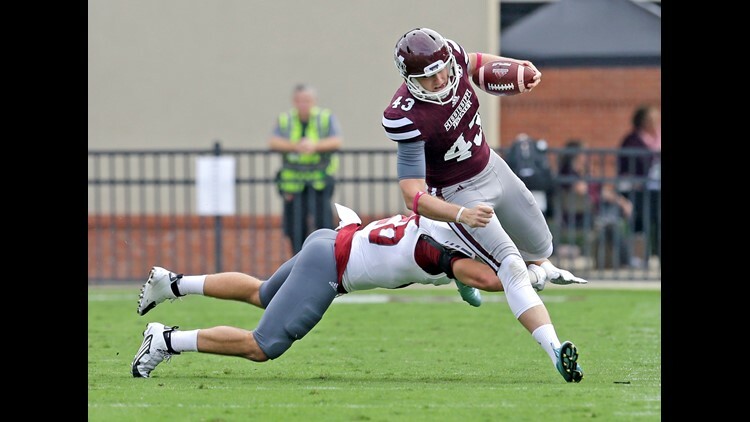 Jacksonville selected Mississippi State punter Logan Cooke with the 247th overall pick on Saturday. The 6-foot-5, 230-pound punter spent four seasons with the Bulldogs. He averaged 41.7 yards per punt and 62.6 yards per kickoff during his college career. KAYE'S TAKE: Veteran punter Brad Nortman was inconsistent last season, which made the Jaguars look into the position. The Jaguars liked Cooke enough to draft him, which should make the competition between the two punters pretty interesting. Jaguars special teams coach Joe DeCamillis is known for challenging veteran specialists with young upstarts. History typically favors the youngster in those battles.